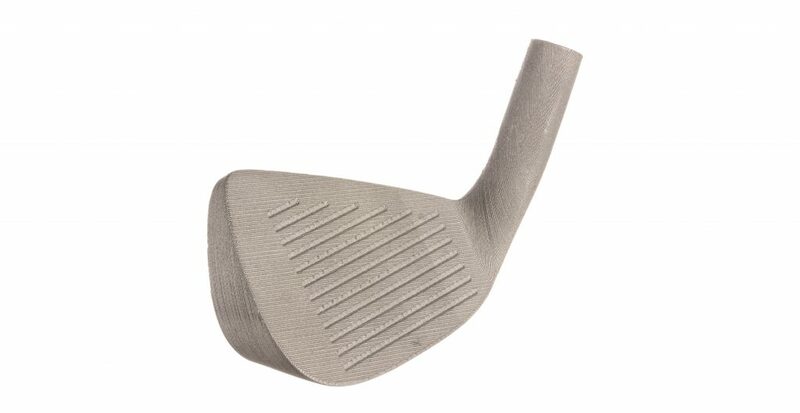 Metal 3D printing is changing the way that golf clubs are made, from design to manufacturing. Golf club design has a long history of steady evolution. From being carved out of wood in the 16th century, to today where clubs are cast or forged out of a variety of metals, designers have experimented with the weight, shape, depth, and countless other factors to perfect a golfer’s stroke. However, this innovation has been relatively slow due to the extensive costs in both design development as well as the capital investment in tooling to manufacture, meaning manufacturers are limited to only several new designs per year. With the use of metal 3D printing, it is now possible to design and prototype faster than ever before. For the golf club industry, this means manufacturers are no longer tied to generic, inexpensive designs produced in high volume. Instead, they can iterate quickly and experiment with novel designs without worrying about the cost of prototyping—leading to better designs for high volume manufacturing and opening up the opportunity for highly customized golf clubs for individual players. Golf clubs have a multitude of variables which contribute to their performance—surface area and shape of the contact face, shape and depth of the cavity, club angle and bounce angle, groove design (shapes, patterns, and depths), weight, and many more. To develop the optimal golf club, a designer must explore each of these features across numerous iterations and combinations to arrive at the optimal solution, resulting in tens or even hundreds of designs for a single club. With traditional manufacturing methods, this prototyping and development could cost tens or hundreds of thousands of dollars to arrive at a single design. Bound Metal Deposition enables designers to rapidly prototype in metal for a fraction of the cost, right from the comfort of their office or shop. This accessibility and ease of use allows for prototyping and testing of multiple designs in as little as a week—leading to faster iteration and ultimately better products with an accelerated time to market. Beyond prototyping and optimization of high-volume club designs, the Studio System also opens up opportunities for customization. Golf clubs are an investment for many players—who often maintain and add to a set of clubs throughout their careers. With 3D printing, unprecedented levels of customization are possible thanks to the elimination of investment in tooling. Instead, parts can be printed on demand with only a few minutes of model preparation—making it possible for players to analyze their swing and develop a personally customized club to suit their body. For the first time, players will be able to adjust the many parameters of club design to ensure that the final club is perfect for their swing. Once the club geometry is established for that player, it can be printed on demand in a matter of days. This method of club design and custom manufacturing would have been far too expensive with traditional manufacturing methods to be practical. Prototyping golf club heads with the Studio System reduces cost-per-part by about 94% compared to Powder Bed Fusion and by about 82% compared to CNC machining. How does SOLIDWORKS Electrical do it?